"Languagenut is a great resource as it enables pupils to reinforce their vocabulary, whilst simultaneously practising the four keys skills of Modern Foreign Language learning, namely Reading, Writing, Listening and Speaking." "It is a program that can be used both in the classroom and at home. It satisfies every individual learning style in a variety of engaging games & other activities." "Languagenut is a great website which reinforces my teaching and the pupils' learning, allowing them to practise their French independently." "My pupils adore Languagenut. I never thought it would be so successful. I joined as I wanted to have a handy resource, especially for my colleague who teaches German." 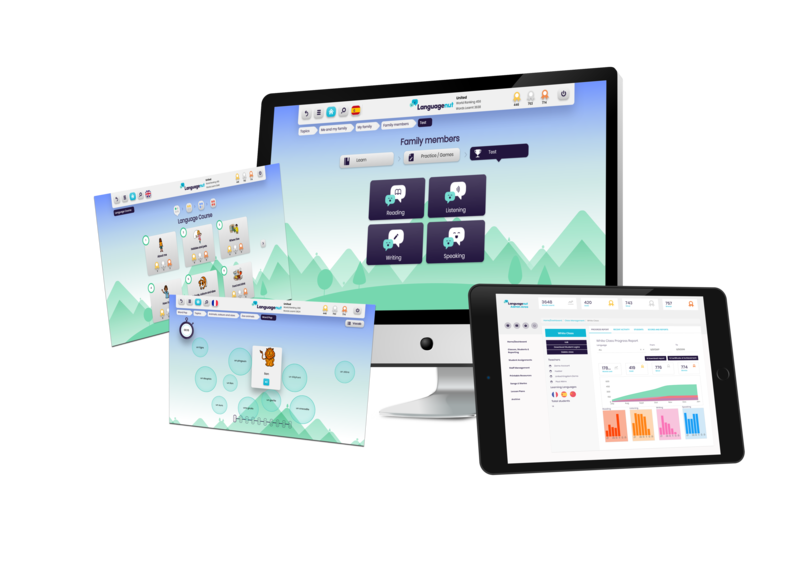 "We love it because it engages the children, improves teacher confidence and tracks the childrens' progress. We use it for weekly lessons, termly assessment and on 'Languages Days' where the pupils can explore other languages and teach their friends any that they may speak at home." "As we know learning a foreign language has become even more important and beneficial for all our students and Languagenut is doing a fantastic job on implementing it." "The modern languages department in our school have also been making good use of it and it is good to be able to share resources with them as we rarely can use the same books/websites."